Your business card being an essential representation of your company professionally is as important as your website design. The appearance of your business card design, as well as the details on it, can go a long way in determining how serious your company will be taken. 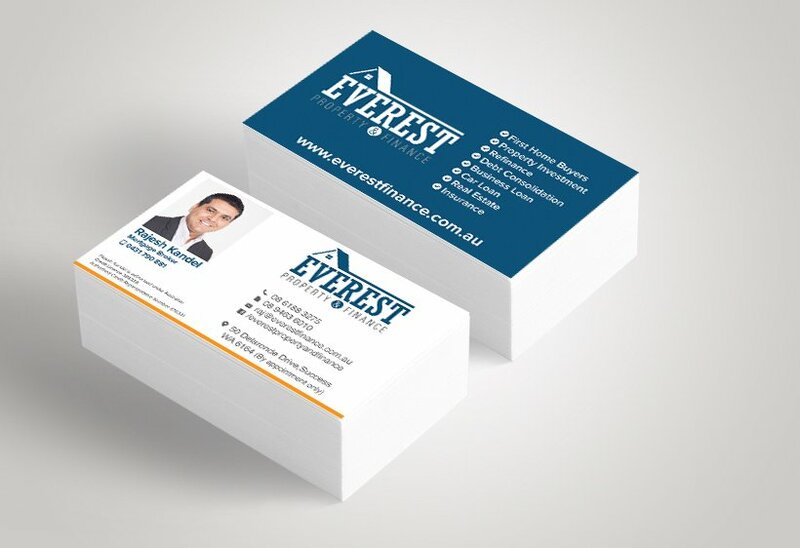 At Keen to Design, we create the ideal business card for small and medium business in Sydney. We will deliver a masterpiece for your company or business within a short period. Whether you want a creative or simple business card, we have the right skills to handle your job. With several years of experience, we will ensure you get the best and most efficient business card regarding design, communication, and functionality. We will not compromise regarding materials and design, so every client is assured of an original and high-quality job. We understand that your business card can be a great marketing tool used in advertising your products and services. Many people do not get full benefits that come with having the right business card and end up with setbacks in their businesses. We can create a dazzling version for your company by helping you design or redesign your business card. 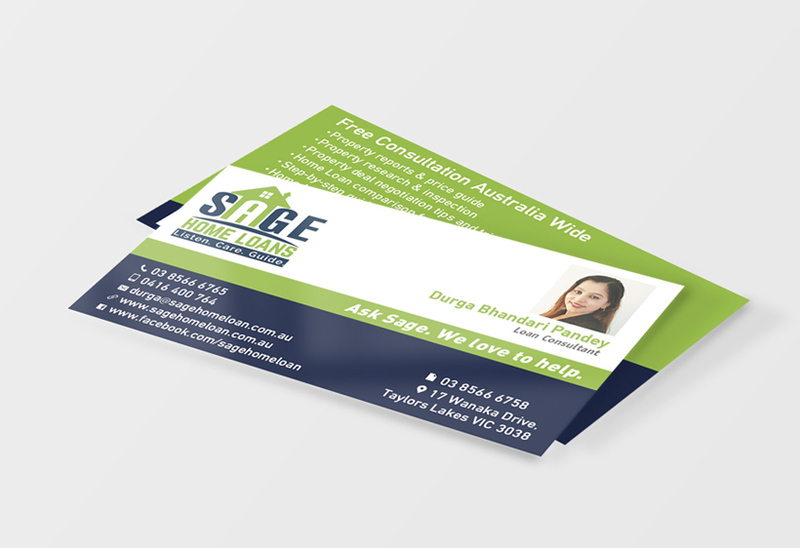 Why us for Business Card Design in Sydney? As a result of space limitation, it is not possible to get all the company’s details on a business card. Having too much information will make your card look cluttered and confusing to read. Limit your features to only the vital information such as name, job role, contact number and email address. Your business card will be useless if simple information cannot be gotten from it. At a glimpse, anyone should easily see what service or product you offer as well as your contact information. Find a balance, without making your card appear too crammed, include the vital information. When the font size used for your business card is too small, potential readers will be discouraged from reading. Also, light coloured fonts can be difficult to understand especially in smaller fonts rendering your card useless. Use a standard size, dark colour font and limit your text to only necessary information. Every company’s brand image is just as important as the service they offer. Your business card should be consistent with your brand and other branded materials. A mismatch will make it difficult for intending customers to identify with your brand. When designing your business card, be sure to use the same colour schemes, logos, and fonts used on your website and other branded materials. With little or no contact details, it will be impossible for interested customers to reach you. The purpose of giving out a business card will be defeated if your company is unreachable. Include several methods of communication like contact number and email address. Customers will identify more with a card that has a tagline or brand promise. Without this, people will not be sure of what services or products you offer. Always include your company’s motto on your business card. While many people struggle to get all the information on the front of the card, it is sometimes necessary to put some info on the back to allow even distribution of information. People will notice if the quality of your business card is of a low quality which may affect customer’s perception of your brand’s image. It will be worth it to invest in a high-quality paper. People are more likely to trash cards that are unable to fit into their wallets or pursues. Stick to the standard size for complimentary cards. Glossy business cards make it impossible for people to take notes on and though they look beautiful, it might get hard to read if the light reflection is too much. Using a matte finish paper will make it easier for people to understand your card and make notes if necessary. While it is important to avoid clutter on your card, leaving too much white space can make your card look tacky and also limit the amount of space available for the necessary information. Limit the white border space around your card. While cards without the conventional rectangular shape may look catchy, it might not be convenient to carry around as it will not fit into most wallets. Such cards will quickly be discarded as compared to the traditional rectangular cards. Do not compromise functionality for aesthetics, stick with the rectangular shaped cards. No one will give a second glance when a card is dull or boring. Such cards will be quickly forgotten and discarded. Include some colours to make the card appealing. Grammar and spelling errors can discourage people from using your services. It also shows a poor representation of your brand. Always proofread before printing to avoid mistakes. The pixelated design on a business card can present your brand as cheap and unprofessional. Use large resolution images instead of enlarging small photos. Although cards with QR codes are great to reach online and offline customers but it will be futile if people do not know its purpose. If you have to use QR codes, give an explicit instruction of what needs to be done. The purpose of a business card is to reach prospective clients. This purpose will be defeated if you leave your business cards at home or in the office. Always have a stack of cards in your wallet or bag. Timing is essential when giving out business cards. People are quickly put off when your business card is the first thing you give them upon meeting them. Do not offer your business card out until it is necessary. Asking people for their business cards when giving them yours will indicate business interest in the future. Always ask for one when you give out yours. A business card without info on what service you offer or your job description will make it harder for people to remember your card even when your name is written on it. It is the most critical information on your business card, do not fail to include names, position, and services rendered. To create a great business card, you need to identify what mistakes you have been making and avoid repeating them. It takes expertise to create a business card that will stand out or portray your business image in the right way. Keen to Design can help you grow your client base with the right business card. Contact us today for a free business card design quote.